FOX29's "Good Day Philadelphia" co-hosts Mike Jerrick and Alex Holley. 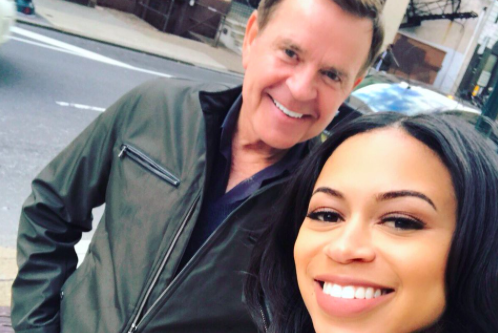 After a nearly two-month hiatus from "Good Day Philadelphia," FOX29 anchor Mike Jerrick returned to work with gratitude on Monday, reuniting with fans who stood behind him while he received treatment for depression. The longtime morning host and comedic newsman took to Facebook on Sunday afternoon to announce that he was "rested and ready" to return to the broadcast. "I am so grateful for your support and encouragement. Very humbling," Jerrick wrote. "I am also thankful for you allowing me all this time to work on some personal issues that needed attention. Plus, a big thank you to my FOX family for dealing with my absence in such a professional loving way. I was also taken aback by how many of your families have been touched by depression." Jerrick also appeared in a tweet with co-host Alex Holley to celebrate his comeback. Jerrick had stepped away from "Good Day" while receiving treatment in the Carolinas for a condition he explained had been affecting him for some time. His sudden departure came shortly after his one-week suspension for using profanity during a live broadcast, but that didn't appear to be connected. "For the past year and a half, medication and alcohol have not done it for me, and a combination of the two certainly has not been helpful," Jerrick wrote in March. "So, my goal is to get to the root of this down mood. Thankfully, this process is working beautifully! Don’t get it twisted, it has not been easy, but it was time to finally confront the negative feelings." Now that he's back in business, what's Jerrick's message to viewers? "Watch out," the anchor wrote on Facebook. And based on his first day back, Jerrick's signature humor appears to be in peak form. Describing himself as the "weird uncle" of "Good Day Philadelphia," he joked that he's thrilled to be back with his "dysfunctional" television family. Philadelphia shares the feeling.